"We don't follow the standards... We set them!" We offer Emergency Medical Services Training for a variety of EMS and EMS related programs. Click Here to view a list of our course offerings. We were founded in 2003 by both Emergency Medical Services (EMS), are CAPCE (formerly CECBEMS) accredited, and Early Childhood Educators. Our mission is to increase health and safety awareness through comprehensive training. We offer a wide variety of programs which include both online and in-person CPR, First Aid, and Bloodborne Pathogens certification to the general public. We offer an online NREMT Accepted, CAPCE (F5) Accredited, The 48 Hour Paramedic NREMT Refresher and 40 Hour NREMT Refresher Course are both NCCP Compliant. These courses are completed online via Virtual Instructor Led Training (VILT) and meets National Registry of Emergency Medical Technicians (NREMT) guidelines to recertify as a Paramedic or EMT. Paramedics Enroll Here --> Paramedic NREMT Refresher EMTs Enroll here --> NREMT Refresher or Call Us at: (800) 728-0209 to sign up! We provide BLS, EMT, and Paramedic training. You can take a look at the list below for our most popular programs or Click Here for a list of our current list of courses available. Currently, we offer Emergency Medical Technician courses in the state of Arizona. Training is approved by the Arizona Department of Health Services, Bureau of Emergency Medical Services. This exciting and fast paced, 192 hour course will teach you everything you need to become certified as an EMT both in the State of Arizona and as a EMT registered by the National Registry of EMTs. 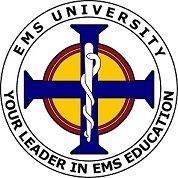 If you are interested in becoming and EMT, Click Here to sign up for a course or meet us in Live Support Chat, Call Us at: (800) 728-0209 or email us at info@emsuniversity.com. We also offer a 24 Hour, US DOT, Arizona EMT Refresher Training which is approved by the Arizona Department of Health Services, Bureau of Emergency Medical Services and valid for to meet EMT recertification requirements. This is also a valid EMT-Basic to EMT Refresher course. If you an Arizona EMT, interested in taking the refresher course, you may sign up here --> Arizona EMT Refresher Course or Call Us at: (800) 728-0209 to sign up! Take a 48 Hour, US DOT, Paramedic NREMT Refresher Course in ArizonaThis course is approved by CAPCE, counts as a refresher for NREMT recertification purposes and will enable you to recertify your Arizona Paramedic Certification. Sign up here -->Arizona Paramedic NREMT Refresher or Call Us at: (800) 728-0209 to sign up! We also offer a 24 Hour, US DOT, NREMT Refresher in San Diego which is approved by the California and San Diego County EMS Authority as EMT Recertification through continuing education hours. This is also a valid EMT-Basic to EMT Refresher course. If you a California EMT, interested in taking the refresher course, you may sign up here --> NREMT Refresher Course in California or Call Us at: (800) 728-0209 to sign up! We also offer a 24 Hour, US DOT, NREMT Refresher in San Antonio which is approved by the NREMT as a "Traditional EMT Refresher Course" and also by the Texas Department of State Health Services, Bureau of EMS and Trauma Systems as 24 continuing education hours. This is also a valid EMT-Basic to EMT Refresher course. If you a Texas EMT, interested in taking the refresher course, you may sign up here --> NREMT Refresher Course in Texas or Call Us at: (800) 728-0209 to sign up! We also offer 24 Hours of online, CAPCE Accredited, US DOT Curriculum, Additional EMS Related Continuing Education which is approved by the Continuing Educating Coordinating Board for Emergency Medical Services (CAPCE) towards recertification under Section II of the National Registry of Emergency Medical Technicians (NREMT). This course does not include skills competency verification. If you have any questions, you may Call Us at: (800) 728-0209 to sign up! Formerly titled, First Responder, in addition to the EMT Program, you can also become certified in the state of Arizona as an Emergency Medical Responder. This 48 hour course consists of introductory material into the EMS system and components relating to medical practice in the prehospital field. EMRs understand a great deal relating to both medical and trauma situations, including how to deal with cuts, burns, bites, stings, heart attacks, stroke, diabetes, etc... If you are interested in signing up for an EMR course, Click Here, call us at the number above or meet us in chat. We also offer offer a 16 Hour, ACLS course which is 2010 ECC/AHA compliant. This course is offered exclusively in Arizona. The goal of the program is student recognition of cardiopulmonary emergencies and other medical conditions that require rapid initial emergency care to reduce disability and death. The ACLS course also teaches providers how to manage the initial actions of an emergency response team, evaluate airway management, understand dysrhythmias, electrical interventions (where applicable), and pharmacologic interventions for these conditions. If you an Arizona interested in taking this course, you may sign up here --> ACLS Provider Course (Inital & Renewal) or Call us at: (800) 728-0209 to sign up! This 40 Hour EMS Instructional Strategies course is designed for the entry level EMS Instructor prior to formal instruction in an Emergency Medical Services educational program. This course is based on the 2002 National Guidelines For Educating EMS Instructors, which is a consortium of guidelines from the National Association of EMS Educators, the U.S. Department of Transportation, and the U.S. Department of Health and Human Services. Successful completion of this course shall entitle the student to EMS Instructor certification. Click Here for more information. We are an Arizona based company, offering training in many states throughout the Western U.S. Our BLS programs are offered in San Diego, San Antonio, Corpus Christi, Los Angeles, Phoenix, Tucson, Washington State, and many other areas. For BLS programs such as CPR and First Aid, we follow the 2010 ILCOR guidelines which they have been enhanced by Paramedics and EMTs with extensive experience in EMS programs such as CPR, First Aid, Emergency Medical Dispatch, and Bloodborne Pathogens. Our programs are also quality control checked by staff with experience in education to ensure that the programs meet the outlined objective requirements. Click Here to see a list of the available courses we offer. 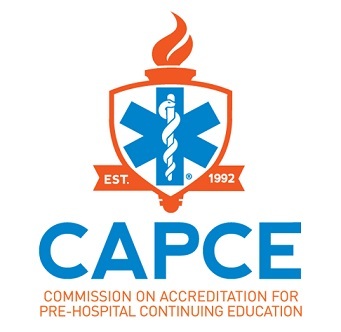 CAPCE is an organization established to develop and implement policies to standardize the review and approval of EMS continuing education activities. The cosponsoring organizations of CAPCE are the National Association of Emergency Medical Technicians, the American College of Emergency Physicians, the National Association of Emergency Medical Services Physicians, the National Association of State Emergency Medical Services Directors, the National Council of State Emergency Medical Services Training Coordinators, and the National Registry of Emergency Medical Technicians, the American College of Osteopathic Emergency Physicians, and the National Association of EMS Educators. Our CPR certification is internationally recognized. The student will be issued a certificate upon successful completion of the course which involves a multiple choice test. Additionally, we will provide the student with a wallet sized certification card, mailed free of charge upon request. Our goal is to provide the best possible customer service and we respond timely and personally, to any comments, questions and concerns. We are accredited by the Better Business Bureau and conduct our activities in a moral and ethical manner. If you would like to verify that a student has completed a course, please send your request to info@emsuniversity.com or contact us at 800-728-0209. If you would like to verify whether a student is currently certified with EMS University, LLC, you can contact at (800) 728-0209, by sending us an email at info@emsuniversity.com, or by meeting us in Live Support Chat. You can also Click Here to submit an online request using our verification request form.